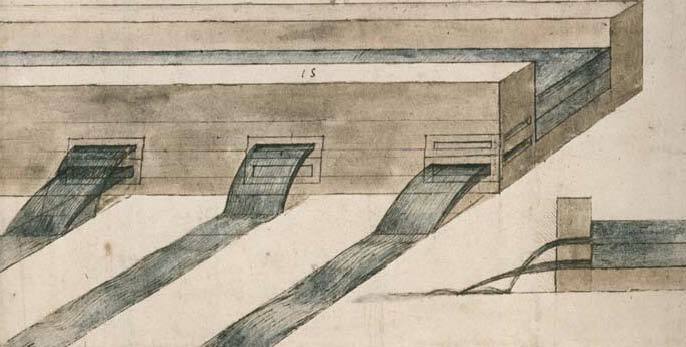 San Cristoforo‘s Canal, from Leonardo da Vinci, Codex Atlanticus, f. 831 r. Milan, Biblioteca Ambrosiana. 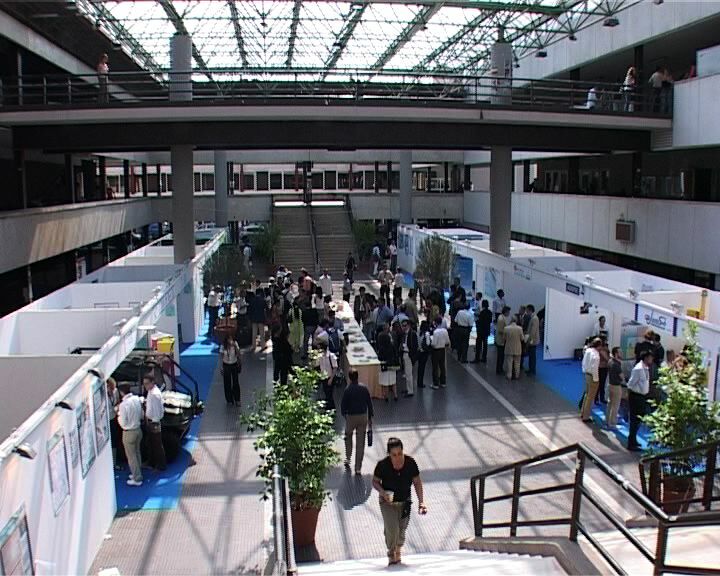 Home | News and events | Events | International Conference Coastlab08, 2-5 July, 2008, Bari, Italy. International Conference Coastlab08, 2-5 July, 2008, Bari, Italy. 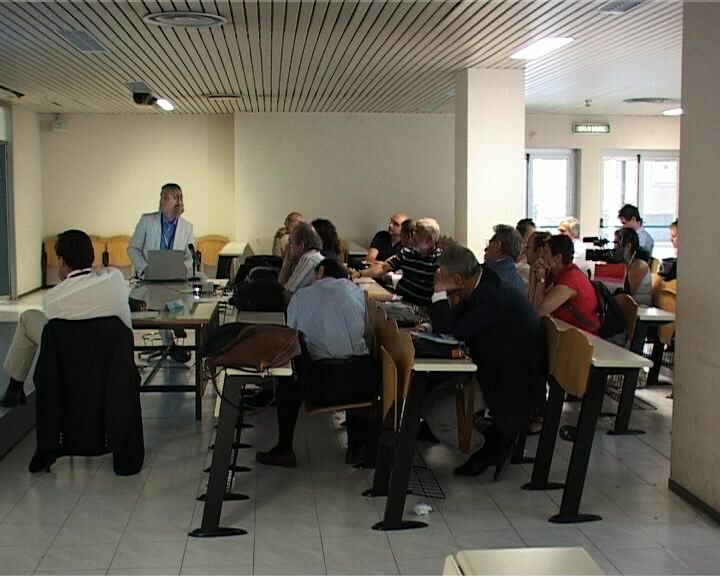 Coastlab08, the second international conference on the application of physical modeling to port and coastal protection was help in Bari from 2-5 July 2008, and was organized by the Water Engineering and Chemistry Department of the Technical University of Bari, Italy, after its first organization in 2006 in Porto. The Coastlab08 Organizing Committee had the main aim of providing a general forum for enhancing interdisciplinary interactions, dialogue and cooperation between researchers and engineers particularly interested in physical coastal modeling, as well as laboratory equipment suppliers. Coastlab conferences has also the main aim of providing extremely worthwhile networking possibilities and opportunities, such as the launching of the network for small and medium coastal engineering laboratories. The topics of Coastlab08 are really relevant nowadays. It is well known that the problem of coastal erosion, coastal defense, pollution diffusion in the sea and generally speaking of territorial risks are fundamental nowadays. The newspapers reports these topics in alarmist way especially during the vacation, when a lot of people are immediately involved in the bad situation of many beaches, but really these problems are always present. All these themes which now are very pressing deserve new experimental approach and possibly also new laboratory techniques. From this point of view Coastlab08 was an important opportunity for many researchers in order to present articles on their studies on maritime hydraulics, such as coastal erosion and defense, and pollution diffusion and protection of the sea environment. We hope also that the conference has been useful for the territorial authorities that have the responsibility in the coastal management. In fact, the virtuous behaviors of the territorial authorities and boards consist also in taking into account that the maritime constructions and management, for example for coastal protection, have to start from deep and rigorous scientific and technical analysis and study, also of the possible so called side effects of these human activities. The conference was a success, since it was attended by about 100 researchers from many nations. During the conference there were two key-note lectures. One was held by Prof. Philip L-F. Liu of the School of Civil and Environmental Engineering, Cornell University, Ithaca on the recent advancement in numerical modeling of ocean wave propagation. In recent years significant advancement has been made in developing theories and numerical methods modeling ocean wave propagation from open coast, wave-structure interactions and sediment transport processes in coastal region. In this key-note lecture Prof. Liu focused on some of the work that has been achieved at Cornell University. The second one was held by prof. Agustin Sanchez-Arcilla of LIM/UPC, Universitat Politècnica de Catalunya, Spain, on the mobile-bed hydraulic tests and typical problems of physical models. Mobile bed testing still presents a number of important uncertainties. They refer to 1) scaling, 2) flume performance, 3) sediment dynamics, 4) instrument limitations and 5) processing and interpretation. Basic questions such as the sediment scaling, the predominance of bed or suspended load or even the definition of the actual sea-bed level remain an open scientific question. And yet mobile bed experiments must be used in many research and consultancy projects where numerical models or state of art formulations present errors which may exceed one order of magnitude. The lecture addressed mobile bed modeling in a critical manner based on laboratory results. It covers from the design stage to the result analysis and interpretation. The emphasis was on i) the compatibility and repeatability of experiments and ii) the observation potential offered by the new developments in optic and acoustic technologies. Corriere della Sera - Puglia of the 2nd July 2008 (in Italian).